Counting Down Our Top 10 Green Posts of 2015! The past year has been so busy and we’ve learned a lot, and we’ve tried to share all of this information with you in our blog posts each week. As is usually the case at this point in the year we decided to sit back and take stock of the past 12 months, and we’ve rounded up our top 10 green posts, by amount of traffic to each post, from 2015. Read on to get the rundown of these top green posts from 2015. Join with Factory Direct Promos to Support Wounded Warrior Project. Branded products help promote your company and Wounded Warrior Project helps returning veterans readjust to civilian life. A promotion that runs through the end of the year makes a donation to WWP each time select products are ordered, so you can market your company and help a great organization continue to build and expand their offerings and do amazing work. Really proud this post made it into our top 10 list! Heading to a Trade Show? Here’s How to Make a Lasting Impression. Trade shows and other events give you the chance to engage with your customers in a one-on-one situation. Giving your customers a product that bears your marketing information will help establish and build a rapport. Five Images That Will Make You Ditch Plastic Bags and #GoReusableNow. Sometimes a simple picture can drive home a point and the images in this post will inspire you to re-think your plastic bag habit. Working on Your 2016 Marketing Plan? Market Greene and In Style with Drawstring Bags. There’s still time to get your 2016 marketing plan together and there is no better way to get your branding message out there than with customized drawstring bags. How Super Bowl 2015 is Pushing the Green Agenda Further Than Ever Before. The Super Bowl is a huge event and it can easily have a massive environmental impact, but in 2015 the NFL decided to step up their game and make the biggest sporting event of the year the greenest sporting event of the year. This post garnered a lot of interest. What is the Impact of Plastic Bags on the Ocean? Litter in the ocean is not front and center, so it is really easy for plastic debris in our oceans to not get the attention and concern it is due. When plastic is carried by currents and churned through the waters the impact can be devastating. How to Drive Sales in Your Target Market. Branded gear is proven to leave an impression with your customers, and there is a lot of value to giving out customized products. Disposable Plastic Bag Fee Overturned in Dallas. In 2012 Dallas officials laid out big plans to go zero waste by 2040. In order to achieve this goal there was discussion around banning or levying a fee on single-use plastic bags, but unfortunately things did not go according to plan. What is the California Recycle Initiative. A reduced reliance on landfills can have a really positive ripple effect, and the state of California is looking to put this positive impact into action with the implementation of the California Recycle Initiative. 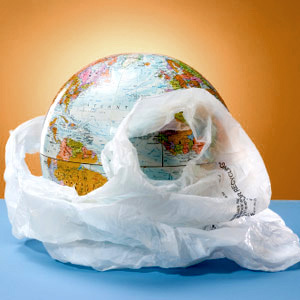 Three Reasons the Fight Over Plastic Bags Should Matter to You. Single-use plastic bags have a variety of ramifications, and spoiler alert: none of these impacts are good. Did you have a favorite green blog post from the past year that didn’t make our list? Or do you have an idea for a great green post for 2016? Let us know in the comments!